The Daintree holds a special place in Australia’s environmental conscience. How can a rainforest that has existed for an estimated 170-million years remain undiscovered until the 1970’s? How can a rainforest containing an unsurpassed richness of ancient, primitive and endemic plants be forgotten and lost? It exists in the minds and memories of many Australians who fought to stop destructive land uses such as logging for timber and land clearing for farming. It exists in the minds of teachers who want their students to appreciate that this natural global treasure is a universal responsibility that needs to be studied and understood. It exists in the minds of scientists who collectively know a great deal about its diversity and complexity and recognise its importance as an untapped resource for future study. It exists especially in the minds of the indigenous people who inhabited this unique environment for tens of thousands of years. And it certainly exists for the people who currently live in it and who rely on it for their survival. It also includes people as part of the protected environment. Three generations of the Hewett family have been bonded to the land through a protective mantle of World Heritage legislation that carries responsibility for the management, protection and conservation without the government funding that is allocated to other protected areas, such as national parks. Our family has accumulated a great deal of information over twenty-six years of habitation in the rainforest and we value this knowledge. We know that the Cooper Valley contains the essence of natural and cultural values attributed to the entire Wet Tropics World Heritage Area. 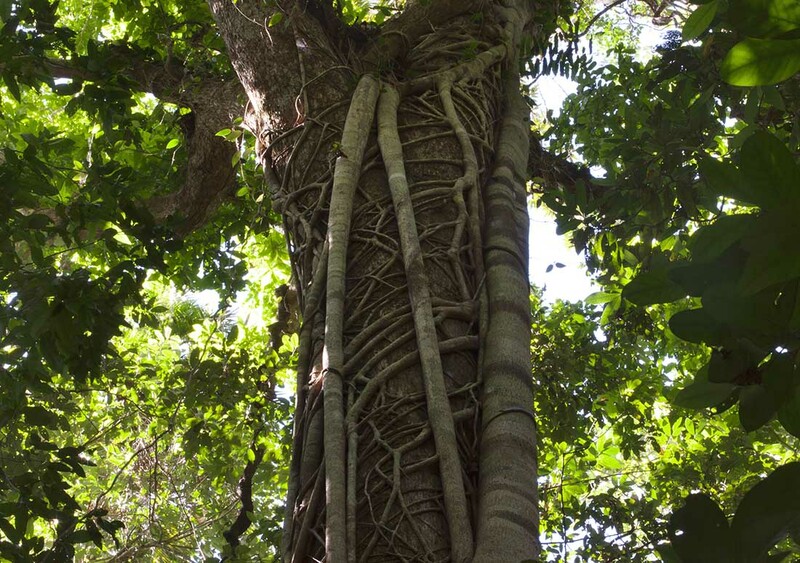 Encapsulating all of the qualities necessary for World Heritage listing, Daintree Rainforest includes exceptional natural beauty, rare and primitive species and extraordinary endemism. It contains ongoing evolutionary processes spanning 500-million years and ecosystems so complex that they challenge comprehension. Experienced from within, we are privileged to be recipients of an enormously complex environmental wealth and obligated to transmit the values to present and future generations. We have used our intellectual property, bestowed by the rainforest itself, to present and transmit the values to visitors from around the globe and have been rewarded through sharing the wealth of the Daintree Rainforest through sustainable ecotourism.